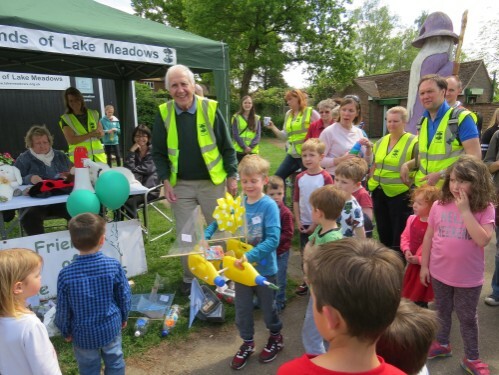 Our fifth annual Great Lake Race was another great success recently! The weather was warm and sunny as thirty-five boats, of every shape and size, set sail across the lake for the distant shore. 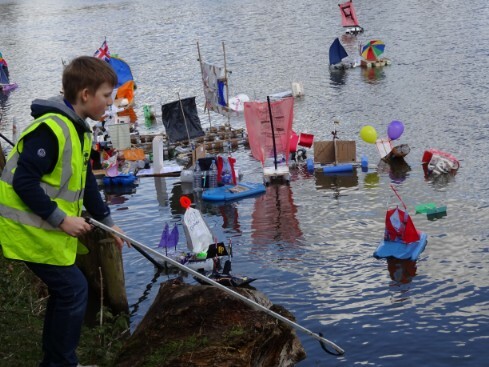 Large and small, with sails, floats and even balloons, the boats were amazing and must have brought a lot of enjoyment to those involved in making them!Led by Jonny Garlick, our team of marshalls launched the boats into the water safely, with Scott and Grant assisting from a rowing boat, one of the remaining popular old boats once on hire from the boathouse. The winning boat belonged to Dylon Wright, seen here receiving his prize from our Chairman Charles Novis. His simple catamaran simply sped across the water, ahead of everyone else. 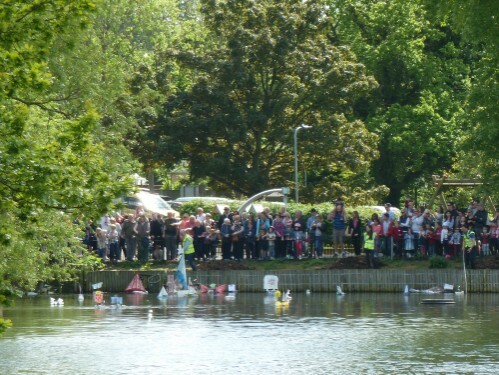 Second to reach the other bank was the bright yellow, wind powered speedboat owned by Thomas Overton. 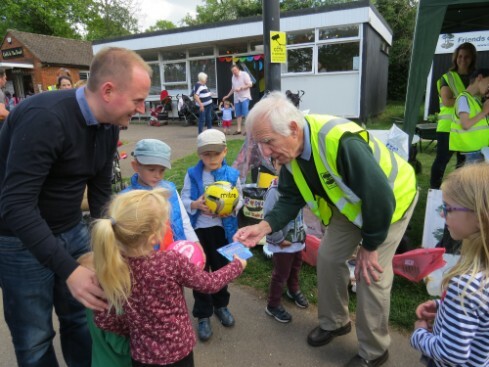 Whilst third place went to Elsa Reason, whose Dad helped her collect her prize. 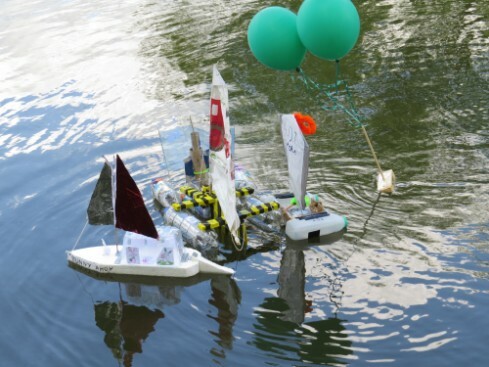 Prize for the best designed boats went to the Lee family, with David Edwards second. 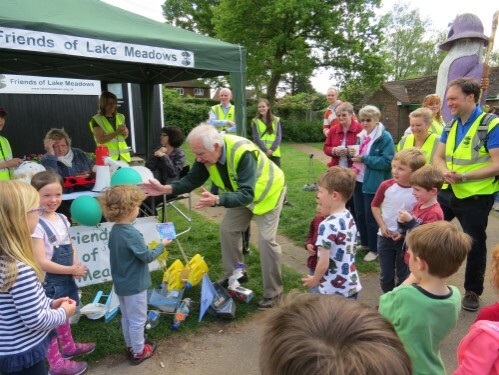 Thank you to everyone who joined in and all those who joined and became new members of the Friends.Join us for next year’s race, which we plan to hold on Easter Monday April 2nd 2018. The 2016 event took place on Saturday July 16th. Although Storm Katie threatened to disrupt the event, the rain stopped and the sun came out and the Race went ahead. 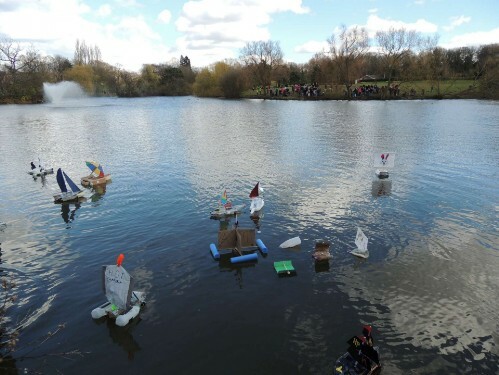 We had 76 boats (a record) competing and as hundreds watched the boats were launched and after a short while several of the boats began to make their way across the Lake. It has to be said that Ben Ainsley would have been interested in some of the tacking techniques. Despite the wind some of the boats became becalmed and others would leave the start only to return again. 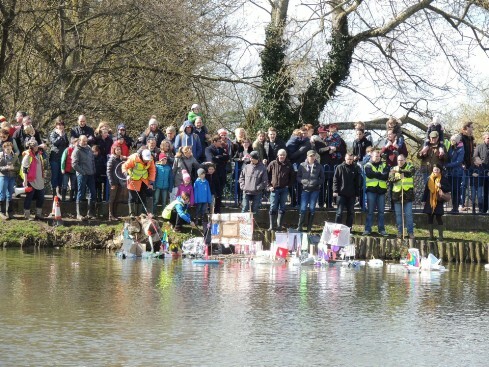 While this was going on a number of boats with sails billowing, or in one case a mini umbrella, made their way to the other bank. 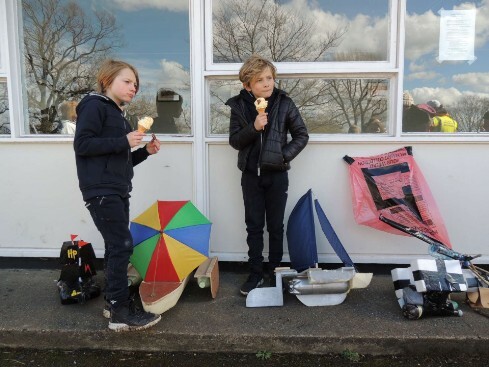 Clearly the Williams family are the boat-builders of the year with the twins filling both first and second places, see them enjoying a well-earned ice cream. The BigG with Charlie Garlick at the helm, despite calling at the island for a short rest en route, came third. 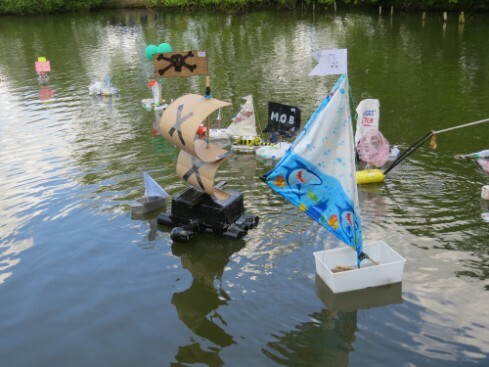 Daisy Bassett won the prize for the best turned out boat and a special prize was awarded to Annalise Sparks for the smallest boat completing the course at just 20cms. 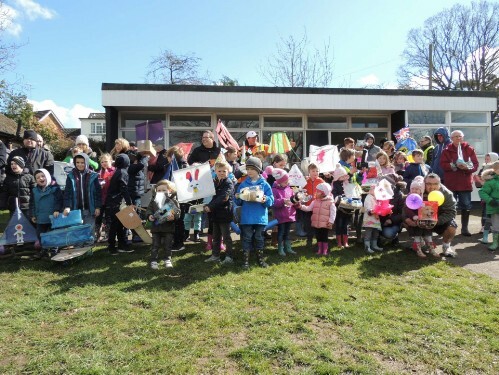 Thanks to Jonny Garlick and his team for organising the event and a special thank you to the members of the Youth Town Council who acted as stewards. The 2016 event will take place on Saturday July 16th. This is a free event which gives families the opportunity to enjoy live music while enjoying a picnic. The Daisy Bowlers, who have played for the last two events, have again agreed to join us. We will also have local players and teachers and we hope that, as previously, some of their students will join them playing. For more pictures CLICK here. The annual dog show was well attended by the hardy owners and their dogs, but unfortunatley the biting northerly wind detered many of the normal Saturday visitors, which was a pity for the stall holders. Our fourth Carols in the Park was held around the Christmas tree by the Boathouse on Saturday 17th December 2016. 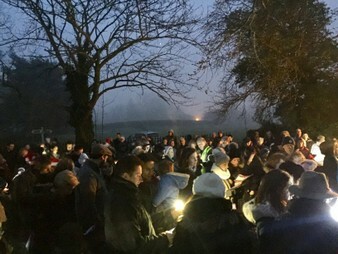 Despite the misty evening, this friendly event attracted about two hundred people of all ages and they enjoyed both the carols and the mulled wine (until it was all drunk!) and sausage rolls and mince pies.